Solid surface was first introduced by DuPont in 1967 under the name of Corian. Since the expiration of their patent, other manufacturers have also introduced their brands as well. Solid surface is a non-porous low-maintenance material used for surfaces such as countertops. It can mimic the appearance of granite, marble, stone, and other naturally occurring materials, and can be joined nearly invisibly by a trained craftsman. Typically manufactured in sheet form for fabrication into finished countertops, solid surface can also be cast into a variety of shapes, including sinks,shower pans and bathtubs. Sheet goods can also be heated and bent into three-dimensional shapes using a process called thermoforming, which adds to the versatility of the product. Color and design flexibility are key factors when choosing engineered composites over natural stone. In a residential setting, solid surface can be used as kitchen countertops, bathroom vanity tops, and shower and tub surrounds. Countertop fabricators typically join solid surface sheets into desired shapes using a two-part adhesive, after which the cured joint is machined flat. The same method is used to build up edge thickness, which can be profiled using tools and techniques similar to those used to work hardwoods. A major appeal of solid surface is its impermeability. Solid surface sinks can be joined to the countertop surface with no gaps, which eliminates areas for water to collect and bacteria to grow. Integral backsplashes can also be created that follow the contours of the wall [seamlessly" and without gaps. Should the material become scratched or broken, solid surface can, in most cases, be repaired quickly by a certified solid surface repair company or trained fabricator. Cracked sinks can be replaced as well. Because the surface is solid throughout, a countertop that has undergone years of wear and tear can be refinished. The installed product is available in a variety of finishes, ranging from matte to high-gloss, although most manufacturers recommend a matte or satin finish for ease of maintenance. Although solid surface faces competition from natural stone and engineered stone/quartz surfacing, the material is popular in Asia, particularly in residential new construction. An emerging market for solid surface is in commercial and industrial settings, where its non-porous characteristics, combined with durability, renewability and formability make it the material of choice for many designers and architects. Also appealing, is the wide range of colors and textures, as well as the ability to custom-color the material for large projects. Hospitals, in particular, employ large amounts of solid surface for sinks, showers, nursing stations and wall cladding, because its seamless properties eliminate gaps and crevices that harbor harmful bacteria. Acrylic-modified polyester solid surface can be mixed one sheet at a time using different formulations, effects and appearances. Acrylic-modified polyester solid surface can be injected into molds to produce various solid decorative design figures. Solid surface can also be moulded using dedicated moulds. 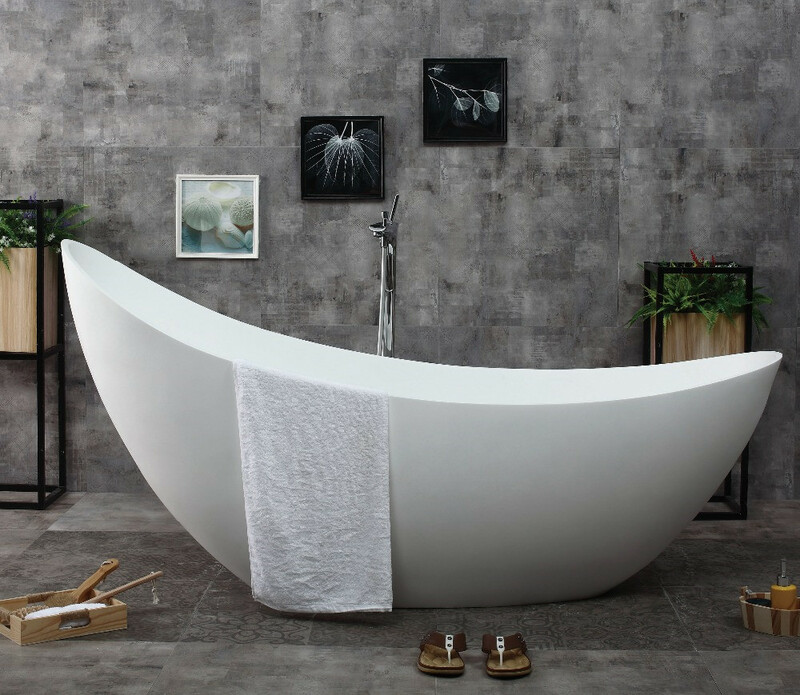 For example free standing baths are manufactured using a 2-part mould tool which creates a cavity for the material to be poured into. Once the mould has been prepared for casting, the material is mixed and degassed in an automated casting machine. It is then injected into the cavity of the mould. Many finishes are available including, gel coated, matte, gloss, metallic and textured. A surface fabricator shapes and installs functional and decorative surfaces, usually in buildings. Surface fabrication, as a distinct professional enterprise, usually involves complex tasks of surface shaping. A leading case is countertopfabrication. For interior spaces, surfaces include solid coverings or decking for floors or walls, and countertops for kitchens, bathrooms, and workspaces. Natural surfaces are composed of naturally occurring materials like wood, stone, mineral, clay, gum and resin. Synthetic surfaces contain, in addition to any natural materials, man-made substances such as metal alloys or polymers. Solid surfaces are synthetic surfaces manufactured from polymeric materials. Kitchen/Bathroom: kitchen worktops with integrated sink, vanity countertop, bath tub etc. Jump up^ "Steel belt casting and drying system for the production of solid surface". Jump up^ "Creative use of solid surface".